Reverend Vincent R. Maffei died peacefully at Massachusetts General Hospital on January 31, 2019. He was 80 years old. Father Vin spent the last week of his life surrounded by his family including his brother and sister, his brother-in-law, his sister-in-law, his nieces and nephews and their spouses, many great nieces and nephews and several of his closest friends. It was a crowded hospital room, but he enjoyed being with everyone, he reminisced about his life with his family and his 55 years as a priest. In typical fashion, he also interrogated his doctors and nurses about their lives and their families. Fr Vin leaves his brother, Tom and his wife Lorraine of Melrose; his sister Ann M. Wholley and her husband Jim of West Peabody; and his sister, Lorraine Monahan of South Dennis, Massachusetts. He also leaves eight nieces and nephews and their spouses: Brian Monahan and his wife Susan of Plymouth; Jennifer Shea and her husband, Matt of Wakefield; Alison Federici and her husband Matt of Wakefield; Ellen Sheckelton and her husband, Michael of Rockland; David Maffei and his wife Alicia of Nashua, New Hampshire; James Wholley IV of Charlestown; Lauren Regan and her husband Tom of Charlestown; Daniel Wholley and his wife Cassie of Wilmington and eleven great nieces and nephews. Fr. Vin was born and raised in Orient Heights in East Boston. He attended Boston Latin School, Cardinal O’Connell Seminary in Jamaica Plain and St. John’s Seminary in Brighton. 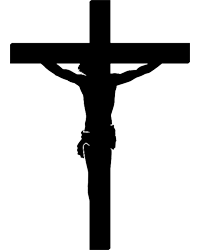 He earned a Bachelor of Arts degree and a Masters in Divinity. He was ordained a priest by Richard Cardinal Cushing in 1964 and served the parishioners of St. Mary’s in North Plymouth, St. Colman’s in Brockton, St. Timothy’s in Norwood, St. Agnes in Middleton, St. Patrick’s in Lowell and St. Mary’s in Randolph. He served as the assistant to the Most Reverend Joseph J. Ruocco, Auxiliary Bishop of the Archdiocese of Boston. Fr. Vin was also the chaplain at Mt. St. Joseph Academy in Brighton. Fr. Vin also served as a judge at Metropolitan Tribunal of the Archdiocese of Boston. Fr. Maffei was outgoing and kind. Those who spent any time with him came to love him. He was a comedian of sorts, an accomplished artist and cartoonist and a voracious reader, particularly books on Catholic theology and World War II. Above all else, Fr. 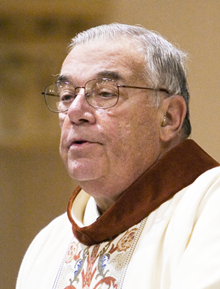 Maffei was a devoted servant of God who loved, helped and supported his flock of thousands. A Mass of Christian burial will be held at 11 am on Thursday, February 7, 2019 at St Joseph St Lazarus Church at 59 Ashley Street, Orient Heights, East Boston. Visiting hours will be held at the church from 3 PM to 8 PM on Wednesday, February 6, 2019. Services will conclude with Fr. Vin being laid to rest at Holy Cross Cemetery, Malden, MA. In lieu of flowers, contributions may be made to Regina Cleri, 60 William Cardinal O’Connell Way, Boston, Massachusetts 02114, the home for retired priests of the Archdiocese of Boston, where Fr. Vin spent the last five years living among his priest brothers.